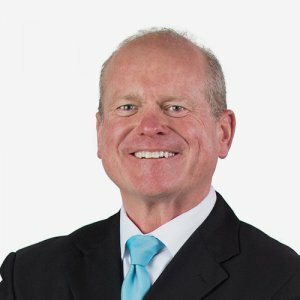 In his 30 years of practice as an attorney, Tim has learned that delivering a valuable service to clients starts with investing in long term relationships, listening to and focusing on their business and personal needs and a commitment to using efficient procedures and practical solutions that serve the client’s objectives, all provided with transparency and collaboration. Tim’s trial and arbitration experience is diverse. In 2017, he successfully tried a multimillion-dollar shareholder derivative/breach of fiduciary duty case. He also tried a case seeking to invalidate a trust based on undue influence, fraud, and lack of capacity. He also represented a client in an arbitration involving owners of a joint venture to operate a food processing company that asserted multimillion-dollar claims for breach of contract and fiduciary duties, and an arbitration involving the suspension of a physician’s privileges to treat patients at a hospital. Tim’s practical approach to resolving client’s legal problems includes numerous settlements, ranging from wage and hour/class action employment matters, family partnership and corporate disputes, trust accounting/trust and will contest disputes, employee theft and embezzlement matters, professional malpractice including attorneys, accountants, engineers, and numerous unfair competition and misappropriation of trade secret matters, to other so-called “bet the company” matters involving a myriad of business disputes. Tim has also represented clients in complex business transactions involving the acquisition of various companies, commercial real estate, and investments in businesses. Tim’s personal interests, when time allows, are equally diverse. He enjoys heli-skiing, sailing, golf, hiking, and doing any type of “get your hands dirty” work, like gardening, masonry, and cutting/chopping his own fire wood. Following law school, Tim began his career at McCormick, Barstow, Sheppard, Wayte & Carruth as an associate, became a partner of the firm in 1993 and served as the firm’s managing partner from 2004-2008. Tim then co-founded WTJ Law with his partners Marshall, Mandy, and Niki in 2018. Tim is admitted to practice before all California State Courts, U.S. District Court for the Eastern, Central, Northern, and Southern Districts of California, and U.S. Ninth Circuit Court of Appeals. In previous years, Tim’s trial and arbitration experience comprises multiple cases, including claims of fraud, employment issues, direct and inverse condemnation, various contractual and lending disputes, judicial foreclosures, construction and real estate development disputes, civil rights, shareholder rights and derivative disputes, corporate/partnership dissolutions, board of director disputes/directors and officers liability, trademark infringement, unfair competition, will/trust contests, and other probate litigation. He commonly appears and tries cases in both State and Federal Courts throughout California. He has also tried cases to verdict in U.S. Federal District Courts in both Michigan and Tennessee. Tim is involved in numerous community activities and currently serves on the Board of Directors for the Boys and Girls Club of Fresno County, P.A.I.N., and San Joaquin Country Club. He has also served on the Board of Trustees for the Fresno Art Museum and the Board of Directors for PilotLegis RPG. Tim has lectured on the topics of obtaining injunctive relief in unfair competition cases to the ABTL, complex litigation for the CEB, probate litigation, E-Discovery, and trial practice at San Joaquin College of Law. Since 2004, Tim has been AV® Preeminent™ Peer Review and Judiciary Rated with Martindale-Hubbell. Tim has been recognized by his peers as a Northern California Super Lawyer since 2008 for his primary area of practice in Business Litigation and, in addition, has been consistently rated as a Top 100 Northern California Super Lawyer since 2012.
the San Joaquin Valley Chapter of the Association of Business Trial Lawyers and currently serves as President of that chapter.